Anti-Semitism is visible no matter where you stand on the political aisle. Some of my friends on the left do not like Israel at all. They make glib proposals for what Israel should do. In theory, they say, if Israel followed those proposals, it would become the most morally scrupulous country in the world — if any scrap of Israel would continue to exist. Of course, they imagine that as Israel “just ends the occupation” and “just opens the border with Gaza” or even “welcomes the beginning of a bi-national state,” the Jeffersonian democrats of the Palestinian leadership will peacefully come to power, and all will be well. In practice, those proposals seem poised to result in the death of millions of people, which my friends on the left try not to figure out. All these scrupulous morals would leave the entire land ruled by the saintly Palestinian Authority or by Hamas. Sometimes, these friends on the left manage not to use the traditional vocabulary of anti-Semitism because these friends think they are anti-Zionists, not anti-Semites. Sometimes they do say anti-Semitic slogans, but only because they have such high moral standards, and the honest debate about Israel has to begin. Some of my friends on the right do not like Jews all that much because they really like white people. They say, “Do not call us anti-Semites: We like Israel.” They tell us that the folks who chant slogans of the KKK or the Hungarian Fidesz or even the Nazis are “nice people.” They say Europeans need protection against the real threats, Mexicans, Muslims and blacks and immigrants, and sometimes our allies against those threatening people also hate Jews, but OK. They say, we are not anti-Semites because we hire Jews as lawyers and accountants because, you know, Jews have talent with money. But really, anti-Semites present dangers to us, whatever explanations their allies give to excuse the beliefs. 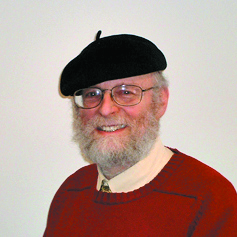 Louis Finkelman is a JN contributing writer, a professor at Lawrence Technological University and a rabbi at Congregation Or Chadash. Everyone loves a scapegoat for all their real or perceived ills. Political side matters not.